Sshrishti is a registered NGO, established in 2003. The organization aims to help children who are deprived of their most elementary right, the right to learning and dignity, the right to a childhood. It first started as a response to the needs of the children of a local slum. Now, more than a decade later, Sshrishti is a credible NGO enjoying accreditation from people both in India and abroad. It runs four learning centers in Delhi and six computer centers in various regions of rural India. Education is one of the most effective agents of change in society. When a child goes to school today, he/she sets off a cycle of change for the future. A change for the better! Our vision is to create a literate society where all children get their birth-right to education (RTE). 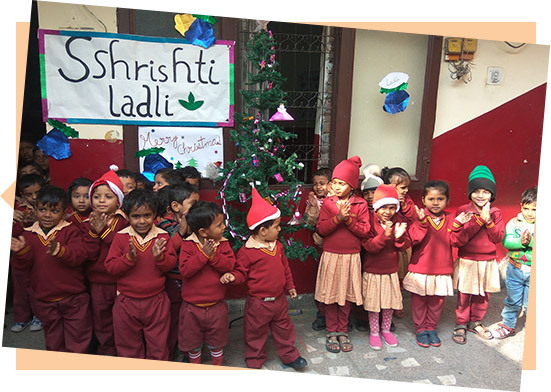 Ladli is a part of this NGO which concerns itself with nursery to LKG schooling for children who have never been to school in the age group of 4 to 10. 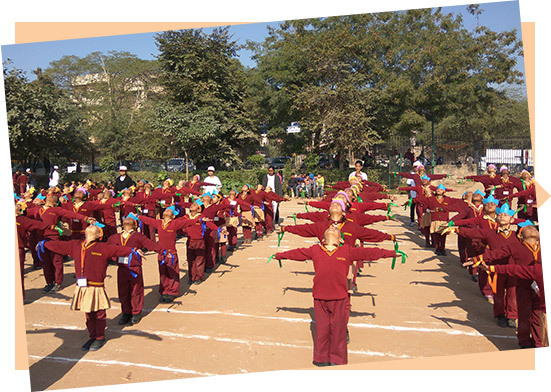 Efforts are made to give individual attention to the children so that they learn fast and cover the gaps in their education. 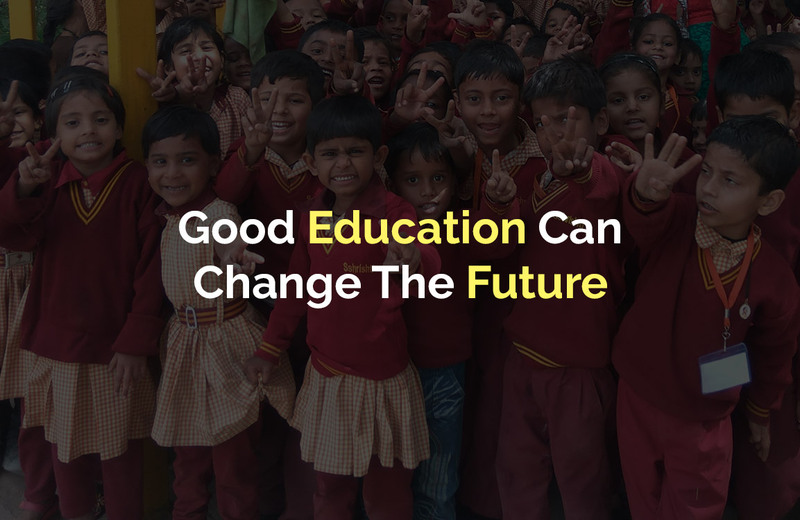 To provide holistic primary schooling and a good environment to grow up in, for under-privileged children so that they can continue with further education in the future and grow up in a secure environment. We strongly believe that what is most needed is the willingness to bring about a change and actually do something worthwhile in shaping the future of these children. Come, be a volunteer at Ssrishti. 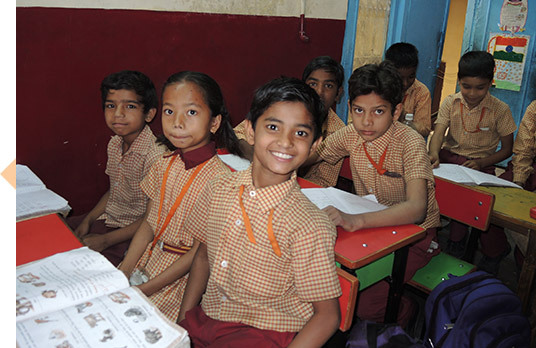 Be an agent for change by contributing to Sshrishti's child education initiative. While you shop with us, add an extra Rs.10 to your order which we will send directly to the NGO on your behalf along with an equal Rs.10 contribution from our end for every donation you make. Together, our contribution will enable these children to realize their true potential.